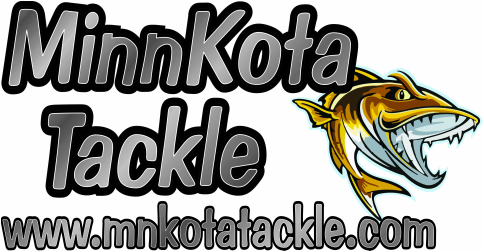 fisherman Minnkota Tackle will put more fish in your boat!" If you are a store or retailer, and want to carry our products, please call Pete at 320-894-8490. We offer competitive discounted prices to all of our retailers. 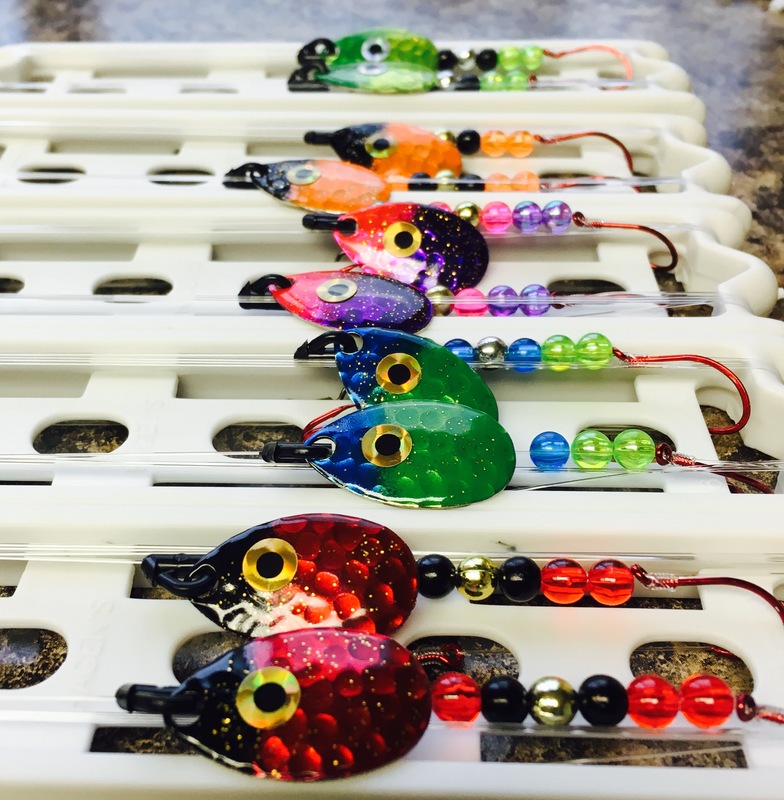 ​​"We put together a great pattern last weekend fishing the Center of the Nation Walleye Tournament which included pulling spinners in 20+ foot of water. One key to our success was using Minnkota Tackle custom painted spinner blades! 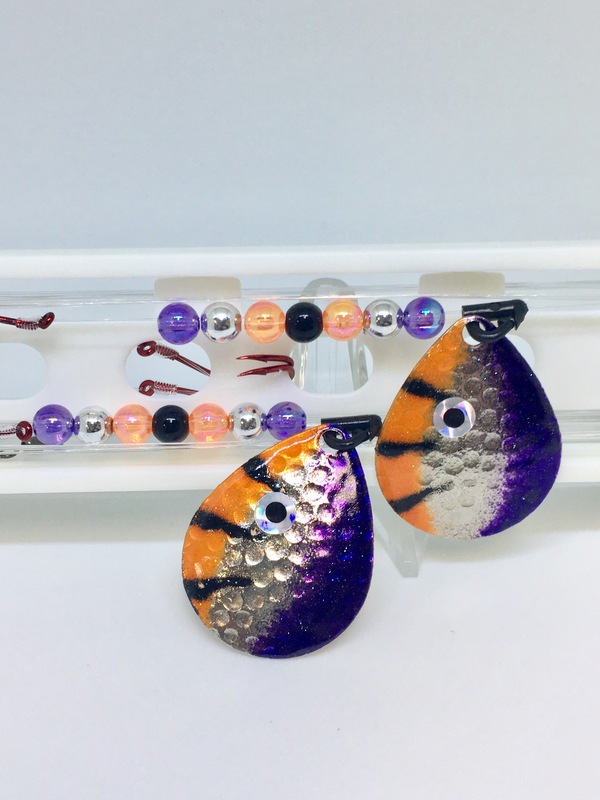 Thanks Pete McGinty"
Coming Soon....................Golden Shiner, Creek Chub and a couple more custom color spinner rigs!! 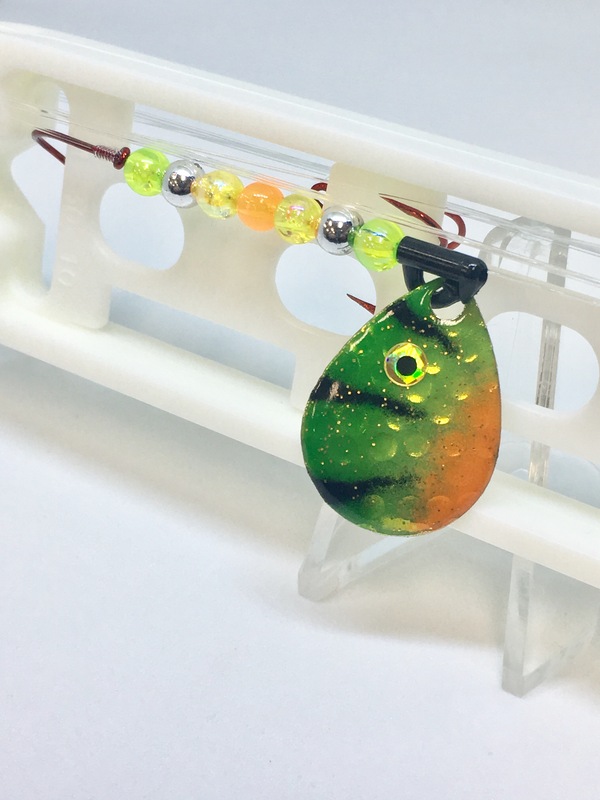 Check out our Slow Death Prop Rigs, these are super effective on those days when the walleyes do not want to chase a bulky spinner rig. 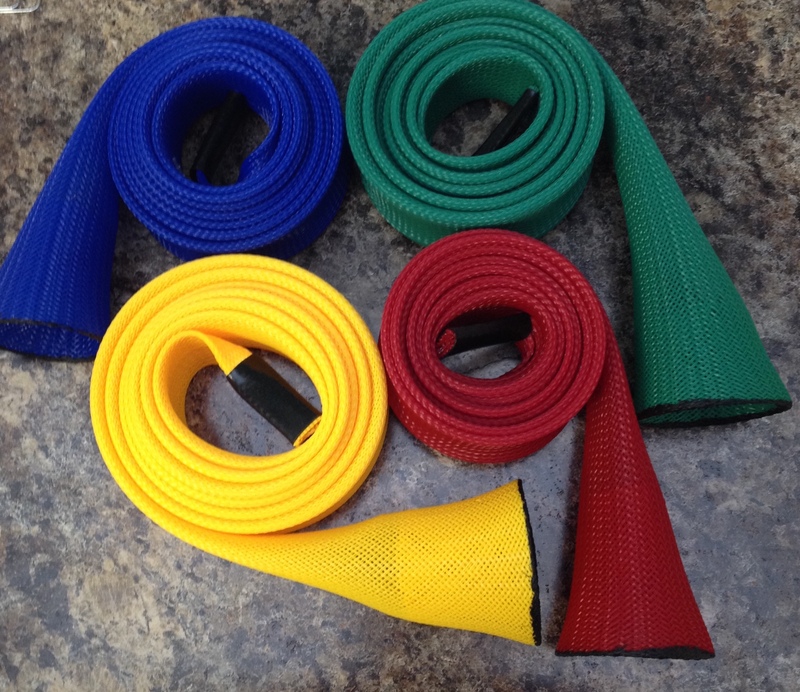 WE RECENTLY ADDED 6 NEW COLOR COMBINATIONS! ​Here is an opening day photo of Michael Grussing's group. 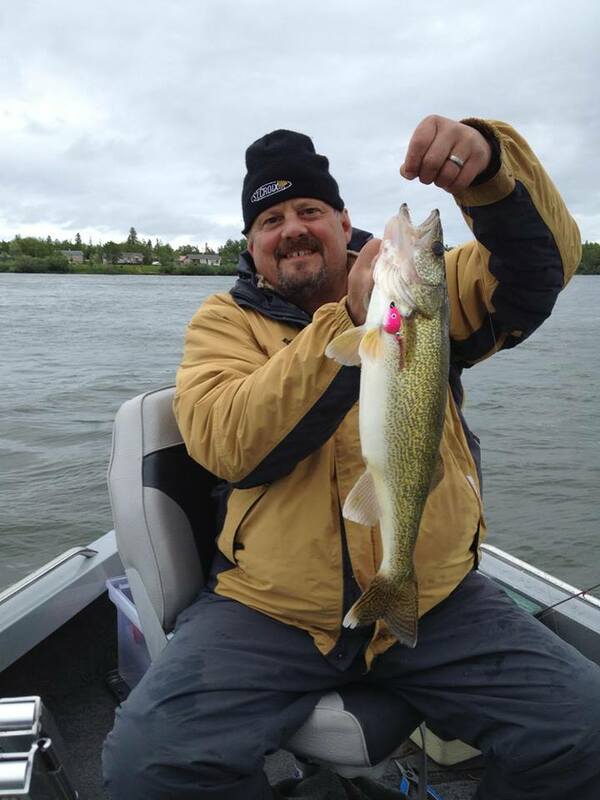 "Opening Day Minnkota Tackle Spinner Victims"
Ferny with a nice shallow Spring walleye caught on a Minnkota Tackle short shank live bait jig. Minnkota Tackle took home top honors in the 2018 Lac qui Parle Lake Walleye League. Pete McGinty and Shannon Larson had a 7 week total weight of 28.6875 lbs in what might have been the toughest bite in league history. The two capitalized on two weeks where they weighed in 5 fish limits when the rest of the 25 boat field failed to bring in more than 1 or 2 fish. Cody Enger and Sean Hauck finished in 4th place with 19.9375 lbs. ​MINNKOTA Tackle was represented at the South Dakota Elite Walleye Series Event on Lake Thompson on May 5th. This was technically the first event of the year due to having to reschedule the event at Chamberlain due to weather. Zach Pauly and Todd Pauly finished in 15th place weighing 4 fish for 5.91 pounds. ​Second stop on the tournament trail this year was on Big Stone Lake again for the BSLS Walleye Tournament on May 12th. After a good prefish bite, Pete McGinty and Dallas Croatt only weighed 3 fish for about 6lbs. Joe Bungarden and Cole Bungarden weighed 2 fish for right around 5lbs. Both teams found fish pitching jigs and minnows in 2-6 ft of water and pulling crankbaits. Third stop on the tournament trail this year was again on Big Stone Lake again for the Ortonville Moose Lodge Walleye Tournament. The struggle continued on Big Stone for Pete McGinty and Dallas Croatt. 25 mph winds made for some rough fishing conditions. The two started out slip bobbering rock piles, catching a 21" and 20" in the first 10 minutes. Then caught and released another 20" fish, 5 minutes later. That bite slowed and then it was off to pull spinners which only resulted in one more weighable fish. 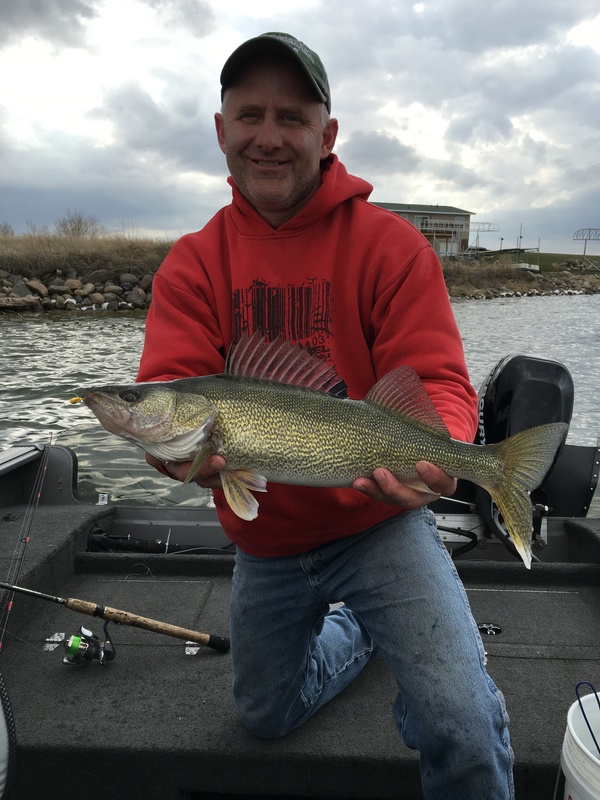 Fourth stop on the tournament trail this year was the South Dakota Elite Walleye Series at Chamberlain, South Dakota on May 21st. Zach Pauly and Todd Pauly had another strong finish placing 5th, weighing in 5 fish for 9.08 lbs. Fifth stop on the tournament trail took place June 2nd on Lac qui Parle Lake for the 1st Annual Pauly Larson Memorial Tournament. 60 teams battled it out for a top prize of $3,000. Joe Bungarden teamed up with Josh Ludvigson and took home first place with 3 fish weighing 13.08 lbs, good for $3,000, including the big fish of the tournament a 7.77 lb walleye, worth $500. They also won the first place option pot, for a total payout of $4450. Pete McGinty and Patrick Miller placed 10th with 2 fish weighing 3.82 lbs, good for $200. Sixth stop on the tournament trail also took place on June 2nd on Bitter Lake in SD. 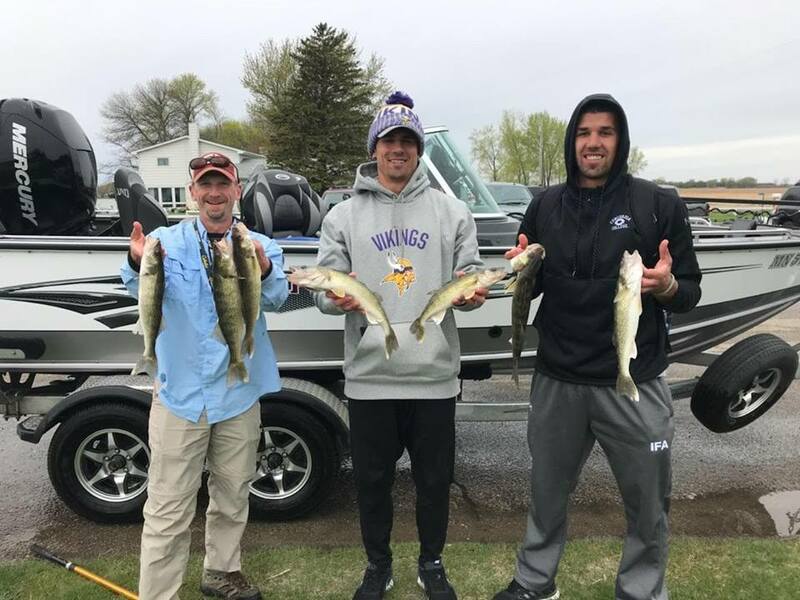 Dave Fernholz, Isaac Pauly and Jake Rewerts fished the Glacial Lakes Walleye League Mid-Season Event. The trio weighed in 5 fish for 9.56 lbs good for 21st place. Seventh stop on the tournament trail took place June 9th on Big Stone Lake for the South Dakota Elite Walleye Series Event. Isaac Pauly and Todd Pauly took home 7th place weighing 5 fish for 13.54 lbs. 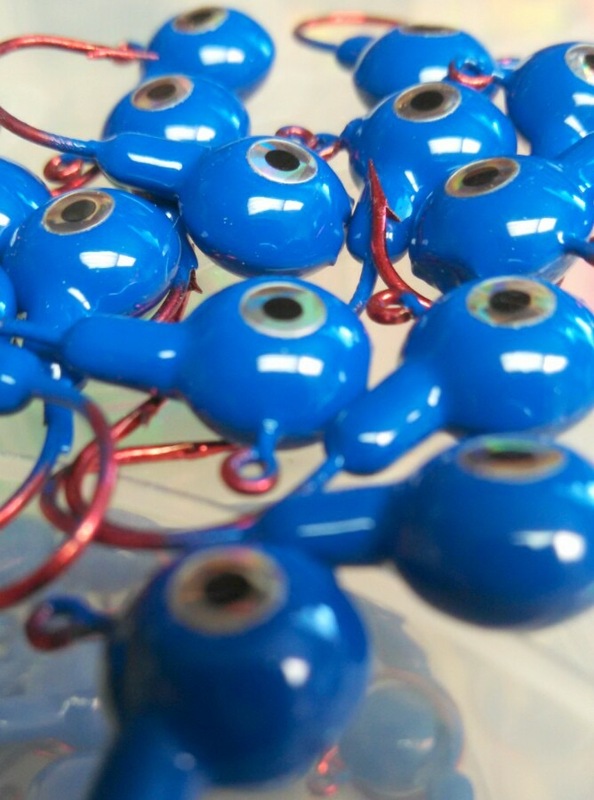 ​Eighth stop on the tournament trail also took place on June 9th on Lac qui Parle Lake for the 39th Annual Lac qui Parle lake Walleye Tournament. It was a tough bite with 42 teams out of 60 not weighing in a walleye. Pete McGinty and Patrick Miller, Joe Bungarden and Cole Bungarden, Cody Enger and Sean Hauck, and Dave Fernholz and Jon Jostock failed to put a measurable walleye in the boat. Ninth stop on the tournament trail took us back to Big Stone Lake for the Big Stone Classic. The struggles continued for Pete McGinty and Cody Enger. After two days of pre-fishing that yielded (2) 27" fish along with a number of 18-19" fish, the two felt confident with their program of pulling spinners and prop rigs over the abundant weeds in the lake. However, they caught 25 14" fish during the tournament not weighing in any for the day. Joe and Cole Bungarden also struggled finding only 1 legal fish to weigh. Zac and Mark Pauly managed 3 fish for just under 8lbs. Tenth stop on the tournament trail took us back to Bitter Lake for the South Dakota Elite Walleye Series Event. Isaac and Todd Pauly placed 13th with 5 fish for 7.97 lbs. This put them into 4th place for the TOY with one event left before the Championship on Waubay Lake in mid August. 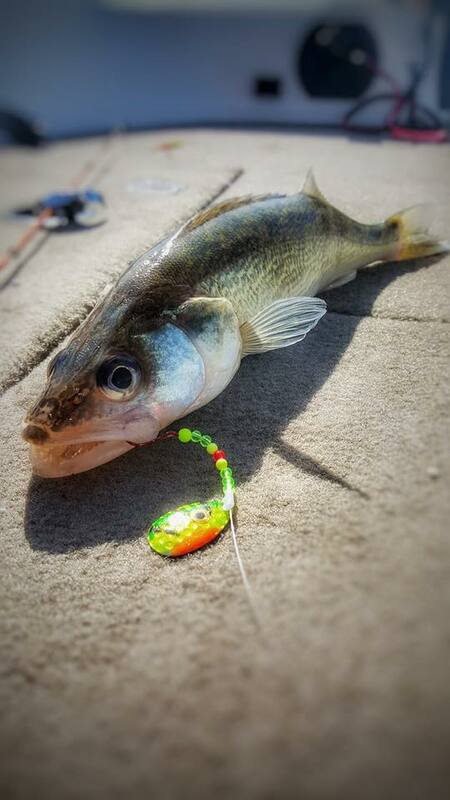 Dean Broin of Madison, MN caught this 20"+ Manitoba Walleye pulling a #4 Colorado Candy Pink spinner rig. 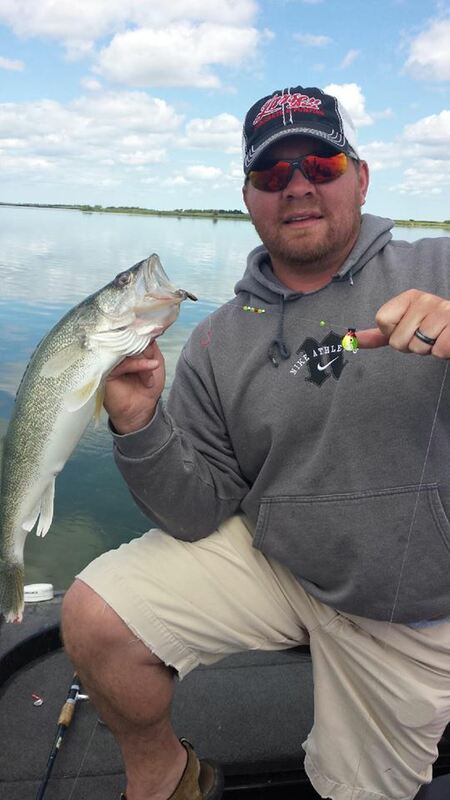 Joey Olson of Sauk Rapids, MN puts a nice Northeast South Dakota walleye in the boat using a #3 Colorado Clown spinner rig. Click on logo below to check out website!